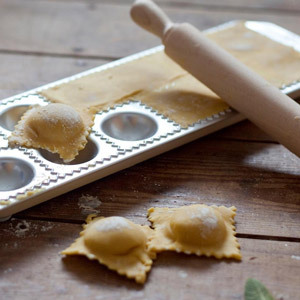 Is there a better smell in the kitchen than freshly made pasta, cakes, cookies, or bread? 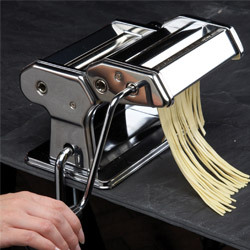 With this Pasta Maker you can create that gorgeous taste and smell time without any fuss or mess. 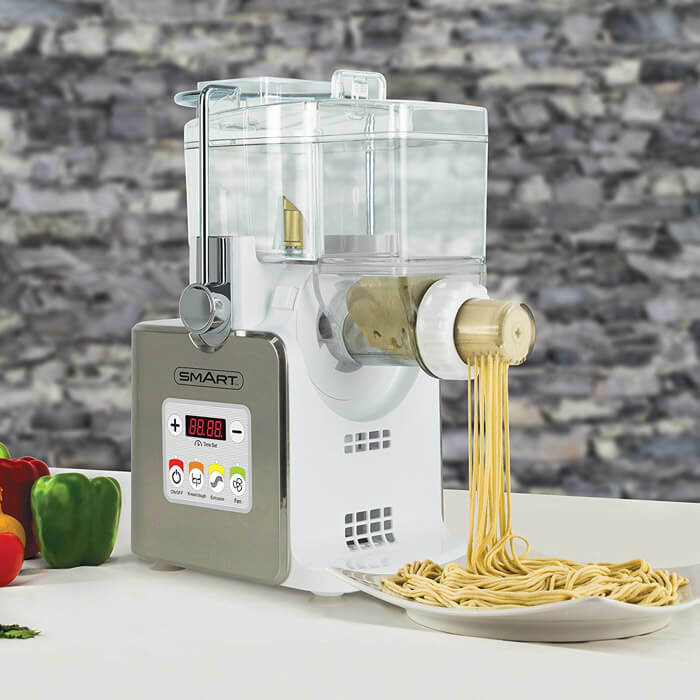 With a knead dough function, the machine can transform your flour into a fluffy dough ready to be used to concoct all varieties of pasta, bread, cakes, cookies and much more. 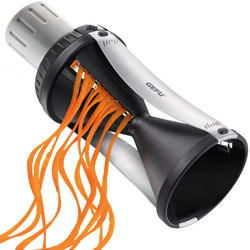 The machine also includes patented features such as a vertical extrusion that stops the pasta from sticking together and a fan drying function that helps to speed up the drying process as the pasta is ejected. 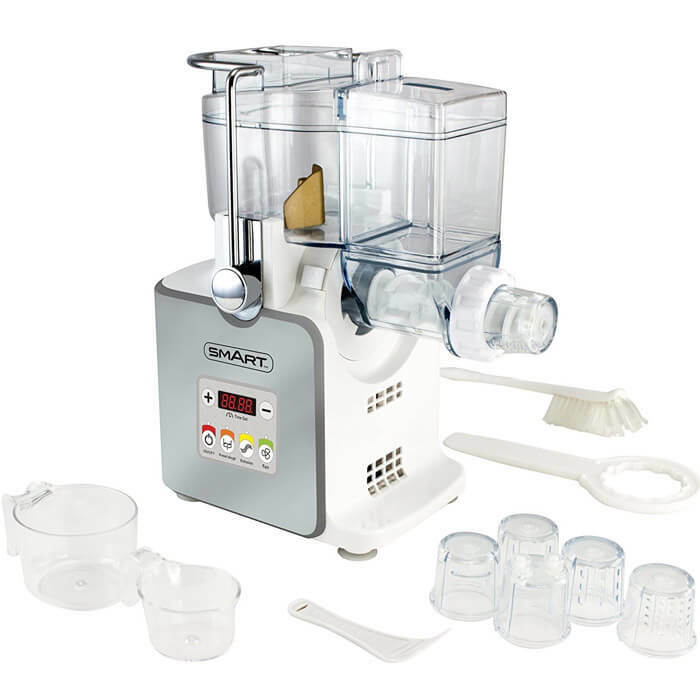 The machine is low noise, easy to clean and use, and churns out deliciously fresh goodies with little fuss in a speedy six minutes!